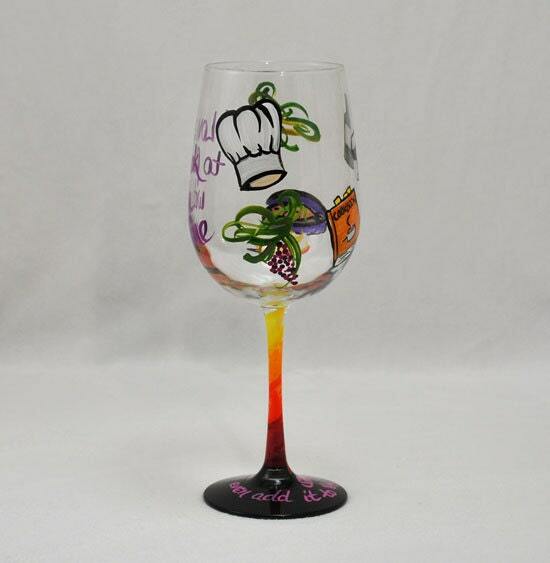 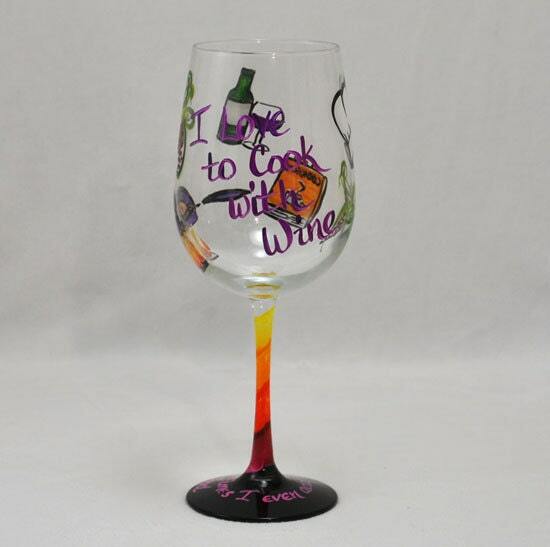 This hand painted wine glass covered with colorful, whimsical cooking symbols and says I love to Cook with Wine; sometimes I even add it to the food. 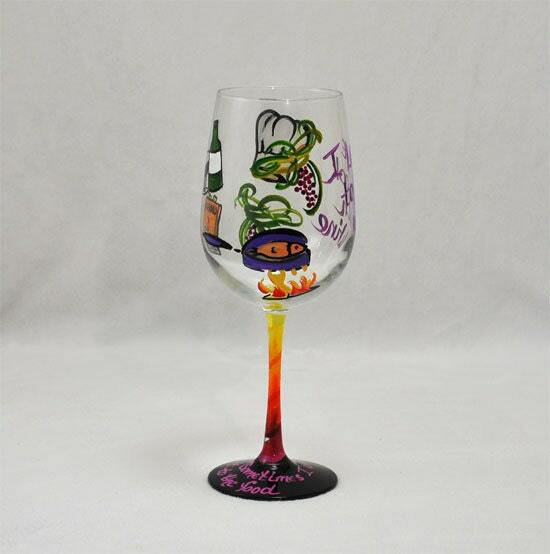 We can change the color scheme on this glass happily. 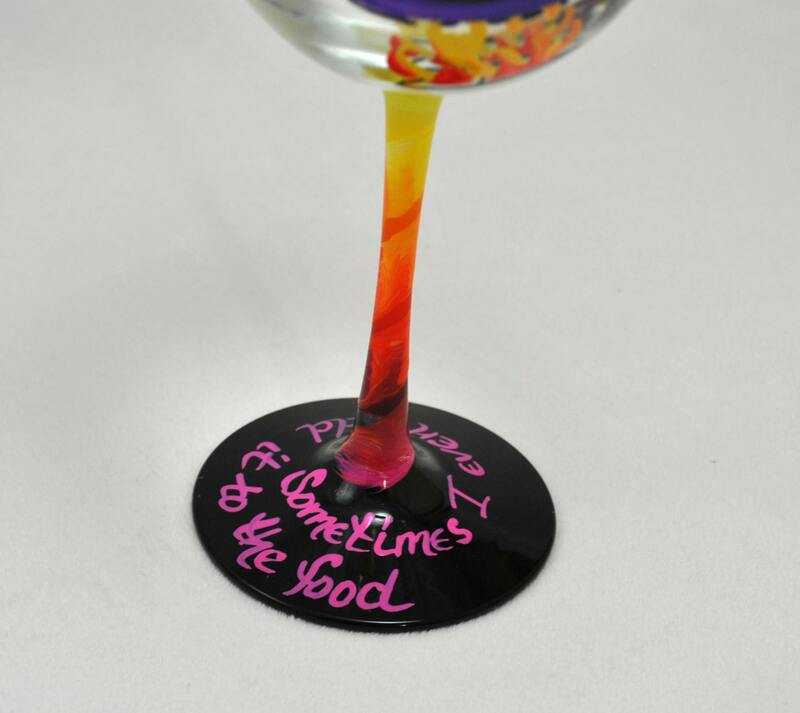 Just let us know your choices.